What is the Allergy Report in Buffalo, NY? Buffalo ranked 16 according to Live Science’s average report in 2013 based on the average pollen count, the ratio of allergists to patients, and the rate of allergy medicine use. In 2018, the city ranked number 23 according to the Asthma and Allergy Foundation of America’s annual report. Though the allergy report in Buffalo, NY is nothing when compared to Wichita, Kansas, Jackson, Mississippi, and Knoxville, Tennessee, it holds its own nonetheless. However, 16 and 23 are rather modest rankings. The city placed number 10 only two years ago. How Do Our Winters Affect the Allergy Report in Buffalo, NY? You’ll be surprised to hear that it’s not actually the harsh northeastern winters that are responsible for the allergy reports here. It’s actually the spring. Believe it or not, Buffalo has some of the driest, sunniest spring weather in the country. The dry weather allows pollen to stick around longer than it otherwise would. On the rare occasion that Punxsutawney Phil can’t find his shadow, pollen levels are especially high. Early spring usually spells trouble for those who suffer from allergies, which explains the low rankings in years like 2016. Can Extreme Weather Influence the Allergy Report in Buffalo, NY? Extreme weather and late storms can affect the allergy report in Buffalo, NY if it leads to flooding. Areas damaged by flooding and excess water are frequently prone to mold, a common allergen. While it doesn’t necessarily mean you should pick up and move, you should know that the allergy report in Buffalo, NY usually doesn’t work out in our favor. However, while there’s little we can do to alter the weather patterns, we can help you find allergy relief here in the office. A physician should be someone you can trust. This is how you should go about finding the best ENT in Buffalo, NY for you and your family. When you’re suffering from chronic sinus issues, terrible allergic symptoms, or constant infections, you want to find a physician that can really take care of you. When looking for an ENT specialist, there are a few criteria you should keep in mind. 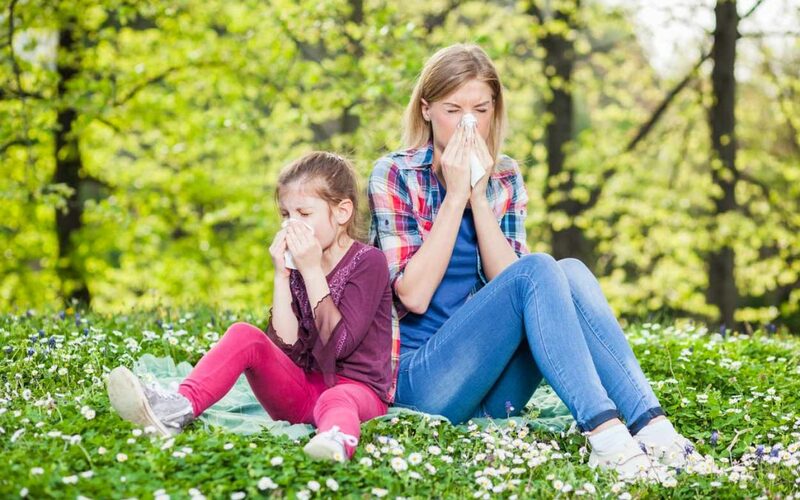 If the only thing you know about allergies is that they’re closely linked to empty Kleenex boxes and Benadryl, we have a few tips for you. Here we’re giving you the inside scoop on what may seem like an unbeatable condition. From the man many call the best allergist in Buffalo, NY, here’s what you should know. Can I Keep My Pet If I Have Cat Allergies? If you suffer from mild cat allergies, you may still be able to keep your cat. As long as your cat allergies aren’t severe, a few simple lifestyle changes might help ease your symptoms on a daily basis. Keep reading, because below you’ll find our best tips for dealing with cat allergies in Buffalo, NY without loading up on drugs and sprays. So, before you come searching for the allergist, try implementing these three easy changes.